This was our first sensation when we returned to the tropical country after years of experiencing the four seasons in a land where heaters took the place of air-conditioners. While we are quite an outdoorsy family who loves the sun, too much of it can never be a good thing. 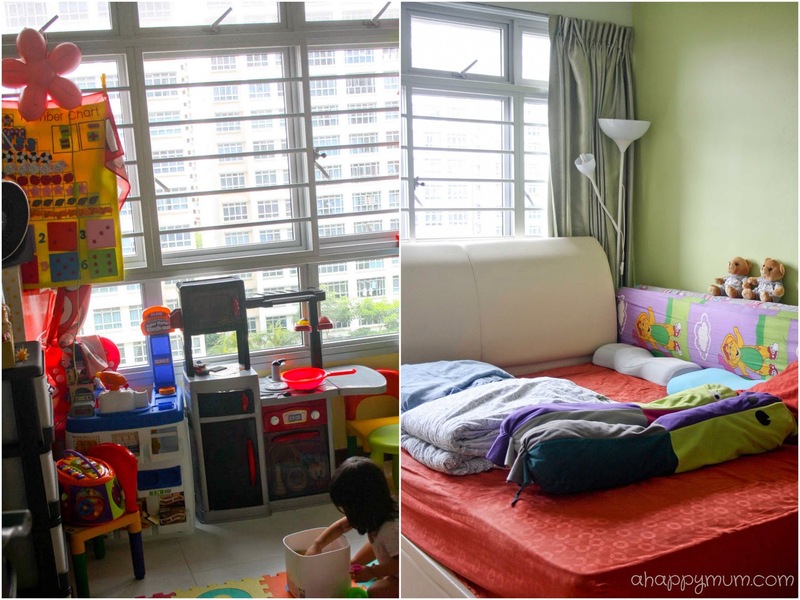 Subsequently, we shifted into our HDB flat and were impressed to see that these newer flats came with full and three quarter height windows in the living room and bedrooms. Who doesn't love a great view? I like the fact that we get to look at greenery and enjoy the presence of natural light but at the same time, I am also aware that sunlight can create excessive heat, fade furnishing and prolonged exposure to it can bring about other devastating consequences. When the sun glares, the kids' room and our bedroom can get exceedingly hot in the afternoons. It is every parent's wish to protect his or her children and keep them out of harm's way. That is why as a mum, I try to protect the girls from the damaging effects of the sun by applying sunscreen whenever we head out for long periods of time. However, many a time, I neglect the fact that even in the comfort of our house, they are constantly exposed to one of the most powerful, invisible and yet pervasive enemy - Ultraviolet (UV) radiation. UV-A rays – the longer rays which penetrate the skin deeply and cause wrinkling and tanning. UV-B rays – the shorter rays which cause burning. UV-C rays - absorbed by the earth’s atmosphere and do not reach earth. The harmful effects from exposure to UV radiation can be classified as acute or chronic. The acute effects of UV-A and UV-B exposure are short-lived and reversible - including sunburn and tanning. However, the chronic effects of UV exposure can be much more serious, sometimes even life threatening - including premature aging of the skin, suppression of the immune system, damage to the eyes and skin cancer. If you think window panes help to keep out UV rays, think again. It has been proven that UV rays can penetrate through three feet of water and in particular, UV-A rays can reach your skin through glass. Considering these astonishing facts and being a stay-at-home mum who spends much of the day indoors, I was really thankful to be introduced to 3M Prestige Window Films and its far-reaching benefits. To read more information about the benefits of the 3M Window Films, go here. The start of my journey into the world of window films and all the benefits they can bring. Thanks to Jestac, 3M authorised distributor, I was kindly introduced to the deceivingly complex concept of window films. I have to admit that I knew nothing much about it previously and for some reason, had assumed window films were more for commercial than residential use. It wasn't long before I started to marvel at the difference a thin layer of almost invisible film could make. When using a transmission meter to measure the visible light and infrared light levels, I was also impressed to discover that 3M does not over-claim in their specs as these are backed by international testing methodology (ASTM Standards). It was a relief to know the fact that being such a reputable company around the world, 3M owns the first patent for window films in 1966 and has many years of experience with window films. It also gives me a peace of mind knowing that 3M has a local technical consultant who will be able to provide me the necessary technical support should any issue arise. While most other brands source for films around the world, 3M is not just the manufacturer of the film but the adhesive as well. Did I also mention that the Prestige Window Films come with 15 years of warranty and this warranty comes from 3M itself? The 3M Prestige series has a collection of four different window films - you can select your preferred level of tint which will determine the level of visible light transmitted. 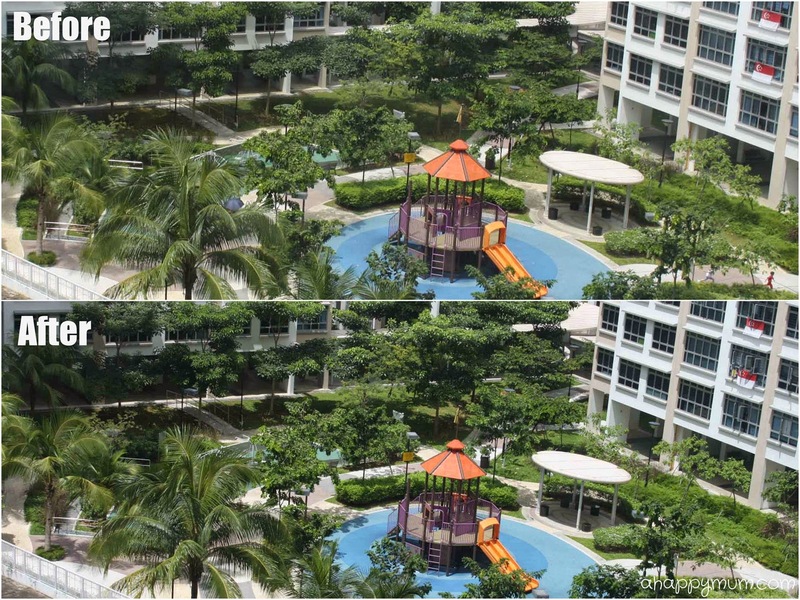 All four films reject up to 99.9% of UV rays and up to 97% of infrared light. 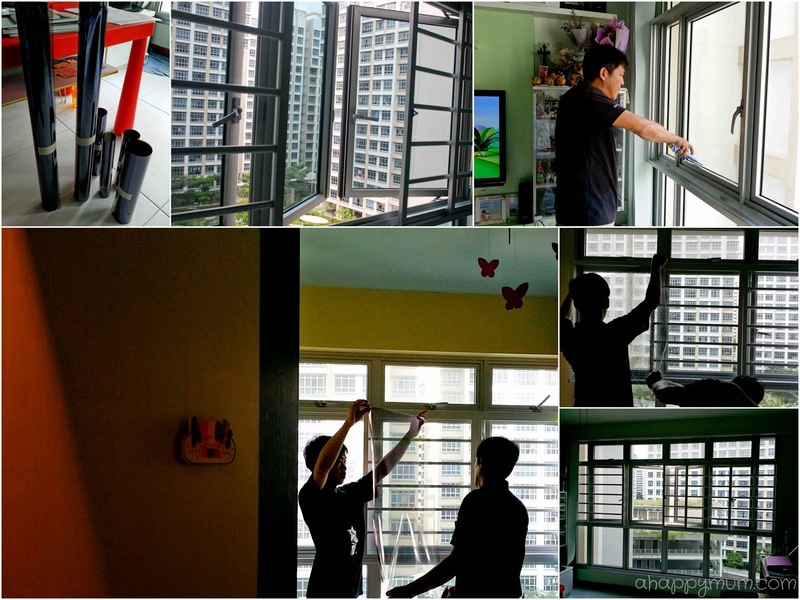 As with all renovation and repair works, I was initially apprehensive if the installation of the window films would be a hassle. It turned out that it was carried out in a modular manner and the films, which had already been measured and cut out to fit the panes, were put into place one by one. All I had to do was to clean the windows and ledges beforehand and leave the rest to the professionals from Jestac. Judging from how it took three men nearly three hours to install the window films in three rooms, I think they did a most detailed and careful job, ensuring that every piece of film was securely and neatly stuck on. After installation, we were told to let the film dry and leave it untouched for a week. In fact, for maintenance purpose, we should never use newspapers or rough fabrics, only microfiber cloths to clean the windows. The installation did not look easy at all and the contractors needed to clean the windows, wet the film with water, put it in place onto a pane, press down neatly and then cut away the extras with a craft knife. The smaller the pane, the more challenging it became. From the four shades available in the Prestige series, I chose to go with PR50 which was the second darkest shade. I wanted a film that could reject more visible light but yet was worried if the darkest shade would end up causing the house to look too dim. Even though this was the second darkest, I was very impressed to see that it did not make as much of a visual difference as I had expected. This is how our living room window panes look after installation. These two pictures below were shot with the same camera through the same window pane at similar times of the day, both before and after installation. These are raw pictures that have not been edited or enhanced in any way, other than cropping for better comparison. Can you see the difference? I think the difference is there but it is barely noticeable. It feels good knowing that the natural light still comes in but the UV rays and infrared light are now kept out! Overall, in terms of visual difference, I would say the rooms look only slightly, and indistinctly, dimmer than before. However, in terms of physical difference, the house definitely feels cooler from the very first day the window films were put in place. Other than conserving energy cost and longer-lasting furnishing, what else does that mean for me as a mum? Well, it means many other more important things too. 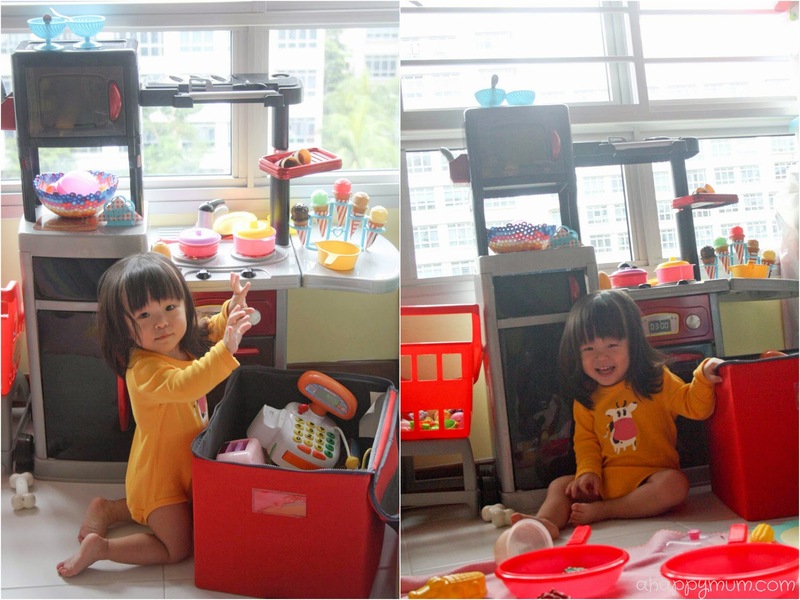 Like how I am now comfortable to see my kids playing by the window in the hot afternoon. Like how I feel assured with the knowledge that we are well protected from the invisible enemy. Like how I am happy knowing that even though I can't protect my kids 100% of the time, at least I am doing my best to keep them healthy and safe. Cooler, safer and more comfortable - thanks to 3M Prestige Window Films. We'll definitely continue to work towards a better home for our family! Disclosure: This is a sponsored conversation between 3M and A Happy Mum. All opinions are our own. My living room often gets naked by the later afternoon sun so I end up coming home to a very "warm" home (pun intended) Will be very keen to check this out but am also concerned that it will darkened my hall as I live on a low level. Hey Susan, thanks for leaving a comment! 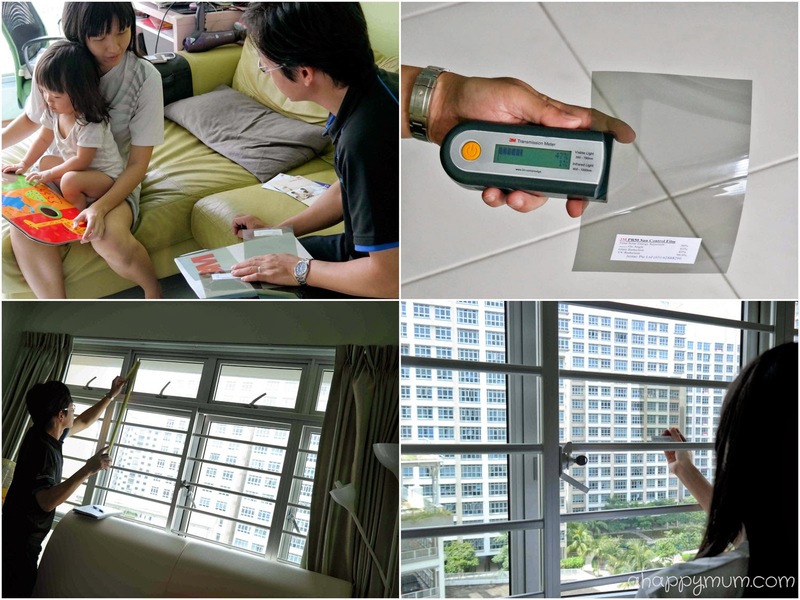 My house gets pretty warm in the afternoon too so I was glad to learn about the 3M window films. To be honest, I never did know much about them before this! I was also very concerned about whether it would dim the house as we have quite a lot of people living under one roof and I was worried if anyone would protest to it. But guess what? No one could tell the difference, not even the hubby. So I do think it's pretty amazing and I am just happy that we are keeping out the UV rays as the kids do play and do their homework by the window very often! P.S. You can always opt for the lightest shade but that would also mean less solar energy is rejected too.